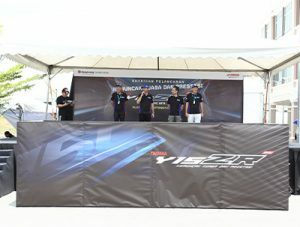 MALACCA, 24th March 2019 – Hong Leong Yamaha Motor recently launched its latest King of the Streets in the form of a stunning facelifted Yamaha Y15ZR v2 at the PETRONAS AAM Malaysian Cub Prix Championship, Round 1 in Jasin, Malacca. The much-anticipated facelifted Yamaha Y15ZR v2 was introduced at the event accompanying Yamaha Cub Prix Riders, Ahmad Afif Amran, Kasma Daniel Kasmayudin and Md Akid Aziz who dominated the top 3 spots in the CP150 category over the last two years, and Tengku Amirul Haffirudin – the champion of CP115 in 2018. New ‘High Low Beam’ LED headlights. Wider 90/80 front tires for a more comfortable ride. The facelifted Yamaha Y15ZR v2 comes with 4 vibrant colors – Striking Cyan, Blazing Red, Storm Blue, and Dynamic Grey which will be made available at all Yamaha motor authorized dealers from mid-April 2019. New buyers of the motorcycle would be entitled to a free disc brake lock worth RM100. The Y15ZR was crowned Champion in the CP150 category for two consecutive years in 2017 and 2018 at the Petronas AAM Malaysian Cup Prix Championship. 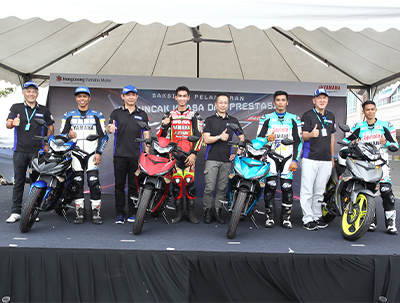 Hong Leong Yamaha Motor Sdn. Bhd. (HLYM)(Co. no:46829-P), a company incorporated in Malaysia in 1979, is a joint venture between Hong Leong Industries Bhd and Yamaha Motor Co., Ltd , Japan. Hong Leong Industries Bhd., holds majority equity interest in HLYM, is part of a well diversified conglomerate, Hong Leong Group of Companies, Malaysia. 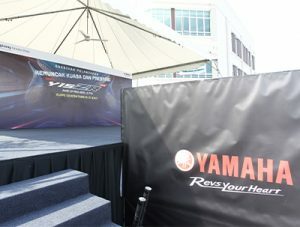 HLYM was appointed official franchise holder for CKD and CBU Yamaha motorcycles in Malaysia since 1979. 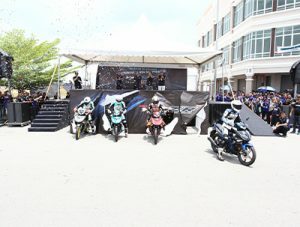 It rolled out its first CKD Yamaha street model, RX100 at the Shah Alam plant.